Deborah P. Lifka, born Chicago, IL, 1963; admitted to bar 1988; St. Mary's College (B.A. 1985); legal education, DePaul College of Law (J.D., 1988). Deborah was a litigator at a Chicago insurance defense firm from 1988 until 1990; in 1992 she took on the position of General Counsel for a medium-sized manufacturing firm. As General Counsel, she practiced in the areas of corporate and employment law, as well as managed the corporation's complex litigation. In January of 1996 she joined with Daniel E. Lifka as a founding partner of LIFKA & LIFKA. 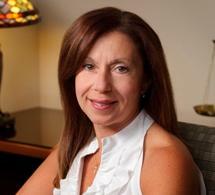 Her practice areas include: corporate and business law, all employment-related matters, and real estate transactions. She enjoys volunteering her time both at her children's schools and local charitable organizations.